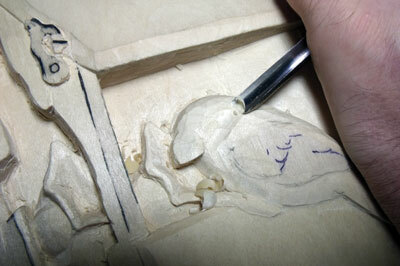 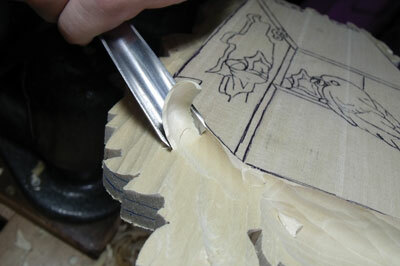 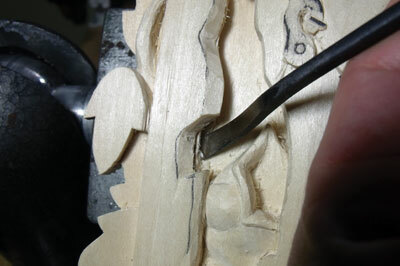 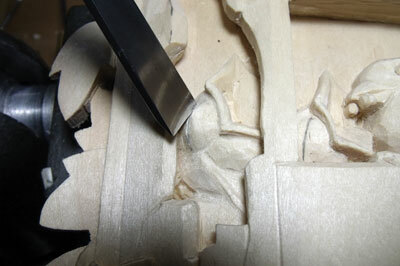 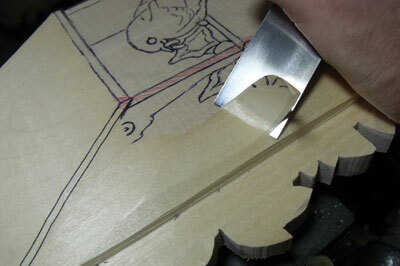 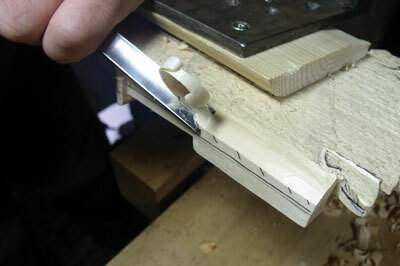 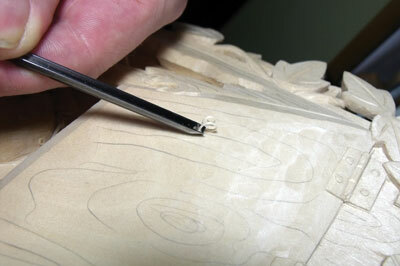 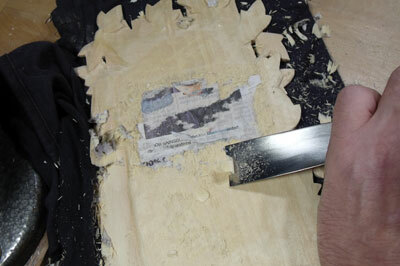 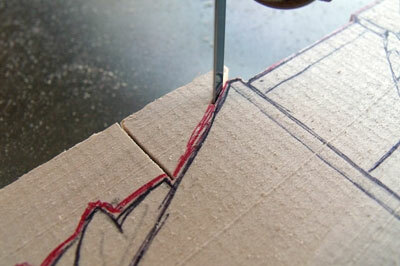 While carving the chick in the front opening, start carving the robin to be able to gain access. 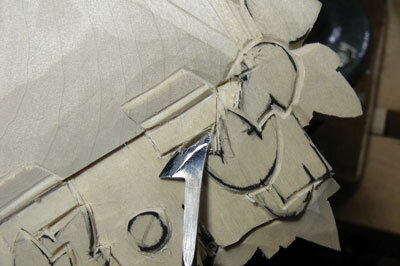 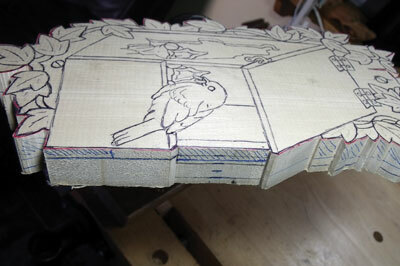 Start by rounding over the robin back, then carve the head and shape the wings, etc. 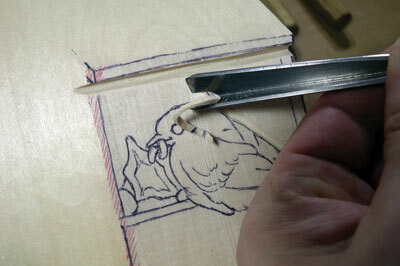 When I first had the idea of carving a bird box with a hole in the side to show the chicks, I originally thought of a full life-size bird box. 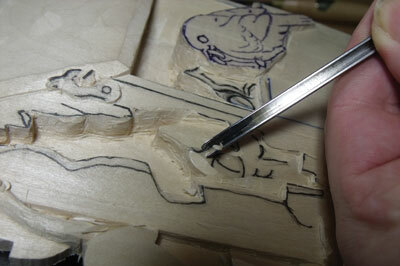 I then decided I would try and tackle the perspective of a relief carving. 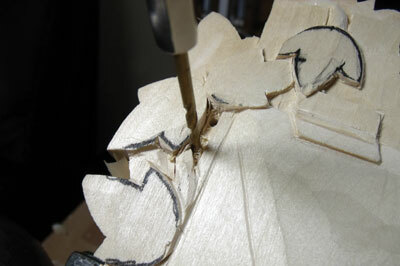 To deal with the problem of a background interfering with the perspective of the bird box, I designed it as a pierced relief, as you can see here. 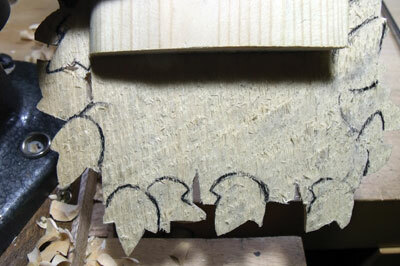 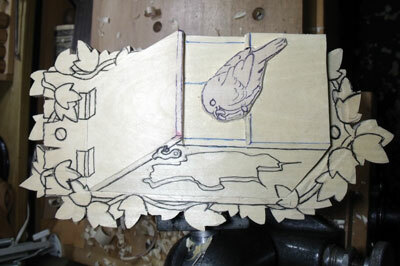 I chose to do a robin as they use an open fronted bird box, which allows for more room to add and carve the chicks. 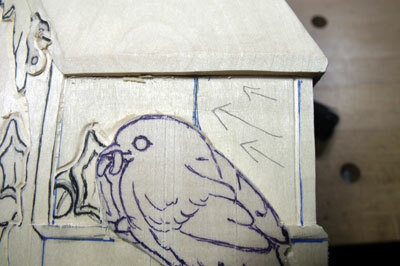 You could carve a different species of bird if you wish, but you may need to change the style of bird box that each species uses - check out the RSPB for more information on bird species. 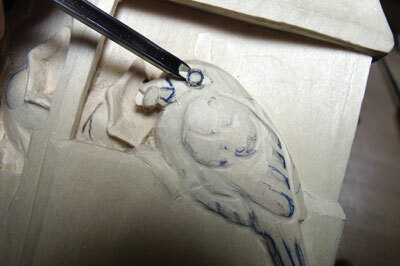 Once you've decided on the bird species, find as many photos of birds and chicks as you can to help assist in your carving.